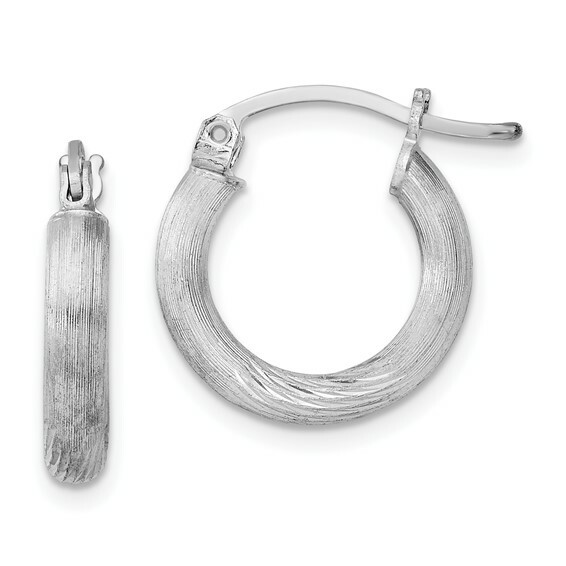 These small sterling silver diamond-cut hoop earrings have a satin finish. Earrings measure 5/8 inch wide. Thickness: 3mm. Weight: 1.37 grams. Made in Indonesia.